You'll find plenty of places to visit near Cairns: Palm Cove (Hartley's Crocodile Adventures & Palm Cove Beach) and Safaris (in Port Douglas). Spend the 3rd (Sun) among aquatic life with a scuba or snorkeling tour. There's much more to do: stroll through Esplanade Boardwalk, take in the architecture and atmosphere at St Monica's Cathedral, enjoy some diversion at Esplanade Lagoon Pool, and view the masterpieces at Underart Gallery. For ratings, other places to visit, and tourist information, read Cairns online tour builder . Debrecen, Hungary to Cairns is an approximately 32-hour flight. The time zone changes from Central European Time (CET) to Australian Eastern Standard Time (Queensland) (AEST), which is usually a 9 hour difference. Plan for much warmer temperatures traveling from Debrecen in November, with highs in Cairns at 36°C and lows at 26°C. Finish up your sightseeing early on the 6th (Wed) so you can travel to Brisbane. Go for a jaunt from Brisbane to Main Beach to see Sea World Theme Park about 1h 30 min away. There's much more to do: walk around South Bank Parklands, kick back and relax at Moffat Beach, browse the collection at State Library Of Queensland, and get great views at Mount Coot-tha Lookout. 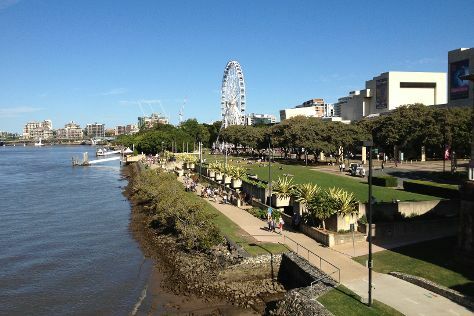 To find reviews, photos, ratings, and tourist information, read Brisbane route planner . Fly from Cairns to Brisbane in 5.5 hours. Alternatively, you can do a combination of flight and bus; or drive. Expect slightly colder temperatures when traveling from Cairns in November; daily highs in Brisbane reach 31°C and lows reach 21°C. Finish up your sightseeing early on the 11th (Mon) so you can travel to Sydney. Spend the 16th (Sat) exploring nature at Sydney Harbour National Park. 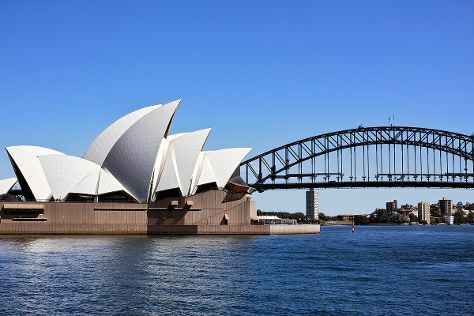 Next up on the itinerary: catch a live performance at Sydney Opera House, wander the streets of The Rocks, enjoy the sand and surf at Bondi Beach, and don't miss a visit to Sydney Harbour Bridge. You can fly from Brisbane to Sydney in 4 hours. Alternatively, you can do a combination of bus and flight; or drive. In November in Sydney, expect temperatures between 29°C during the day and 19°C at night. Finish your sightseeing early on the 16th (Sat) so you can travel to Melbourne. Dedicate the 20th (Wed) to wine at some of the top wineries in the area. There's lots more to do: take in nature's colorful creations at Royal Botanic Gardens, soar above the sights with a balloon tour, explore the world behind art at National Gallery of Victoria, and examine the collection at Melbourne Museum. For maps, traveler tips, more things to do, and more tourist information, refer to the Melbourne vacation maker app . Traveling by flight from Sydney to Melbourne takes 3.5 hours. Alternatively, you can do a combination of flight and shuttle; or drive. Traveling from Sydney in November, plan for a bit cooler nights in Melbourne, with lows around 11°C. Finish your sightseeing early on the 20th (Wed) so you can travel to Adelaide. On the 21st (Thu), explore and take pictures at The Cedars, take an in-depth tour of Migration Museum, then take an in-depth tour of South Australian Museum, then admire the masterpieces at Art Gallery of South Australia, and finally admire the masterpieces at Flinders University Art Museum & City Gallery. On the next day, awaken your taste buds at some of the top wineries in the area. To find traveler tips, where to stay, photos, and tourist information, you can read our Adelaide day trip planning website . Traveling by flight from Melbourne to Adelaide takes 3.5 hours. Alternatively, you can drive; or take a train. In November, daytime highs in Adelaide are 28°C, while nighttime lows are 15°C. Wrap up your sightseeing on the 22nd (Fri) early enough to travel back home.